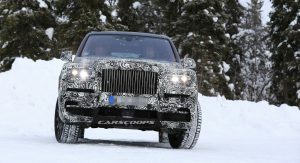 Rolls-Royce has released a new teaser image of the upcoming Cullinan. 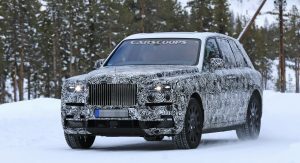 Set to compete with the Bentley Bentayga, the Cullinan is an ultra-luxury crossover which features traditional Rolls-Royce styling cues. 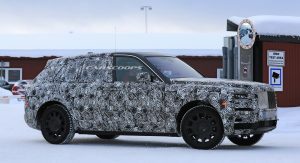 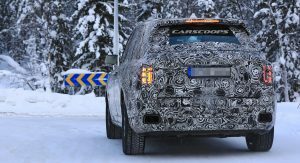 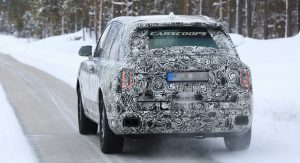 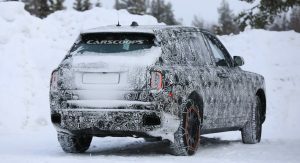 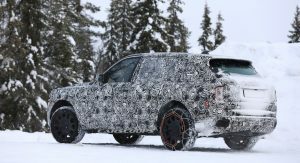 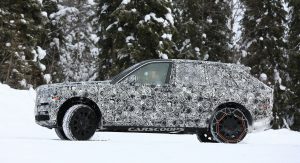 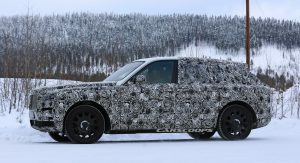 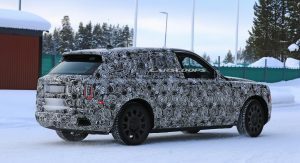 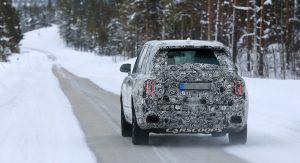 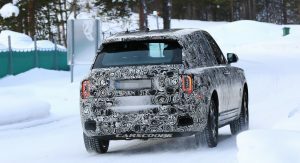 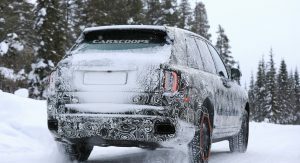 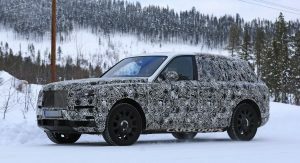 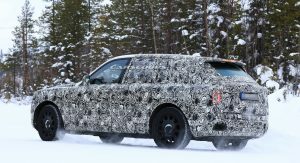 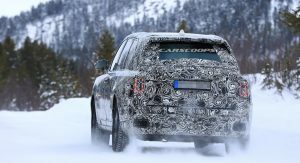 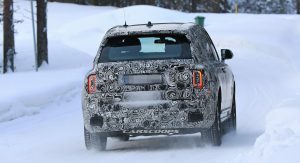 The latest image only provides a glimpse of the model but we can see it has Phantom-like bodywork, a gently sloping roof and a thick C-pillar. 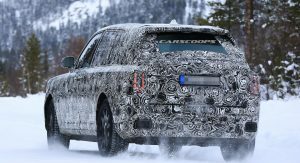 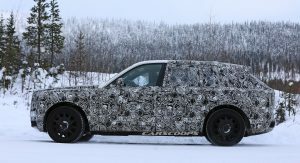 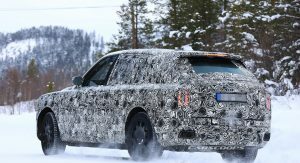 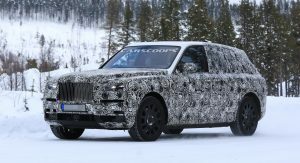 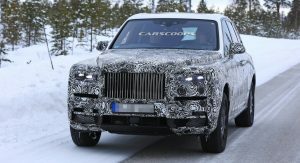 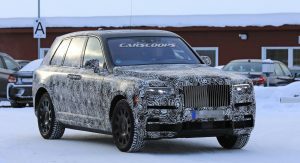 Previous photos have been more revealing and shown the Cullinan will have an upright fascia with a large grille and a spirit of ecstasy hood ornament. 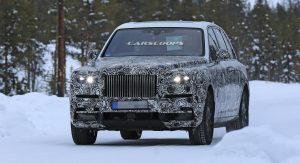 The grille will be flanked by rectangular headlights that reside above slender air intakes. 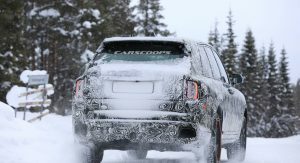 Moving further back, the crossover has a pronounced hood, strong shoulder lines and suicide rear doors. 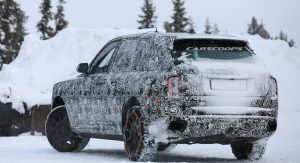 Other highlights include Phantom-style taillights and a large dual exhaust system. 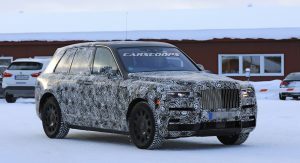 Most Cullinan customers will be more interested in the interior and we don’t blame them as the model should have one of the most luxurious cabins on the market. 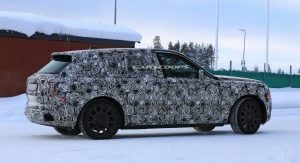 Previous spy photos have shown drivers will sit behind a digital instrument cluster and them themselves surrounded by premium leather upholstery, wood trim and metal accents. 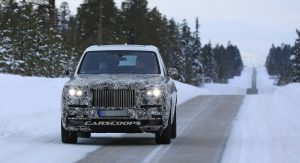 A number of components carryover from the Phantom but the Cullinan has a unique center console with an iDrive-like controller. 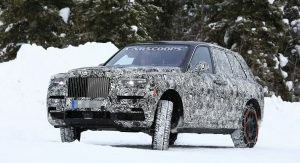 Another unique feature is the model’s rear “Viewing Suite” which features two leather-wrapped chairs and a small cocktail table. 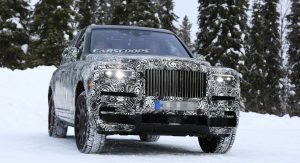 The model will be unveiled this summer and it is expected to use a twin-turbo 6.75-liter V12 engine that produces 563 hp (420 kW) and 663 lb-ft (900 Nm) of torque. 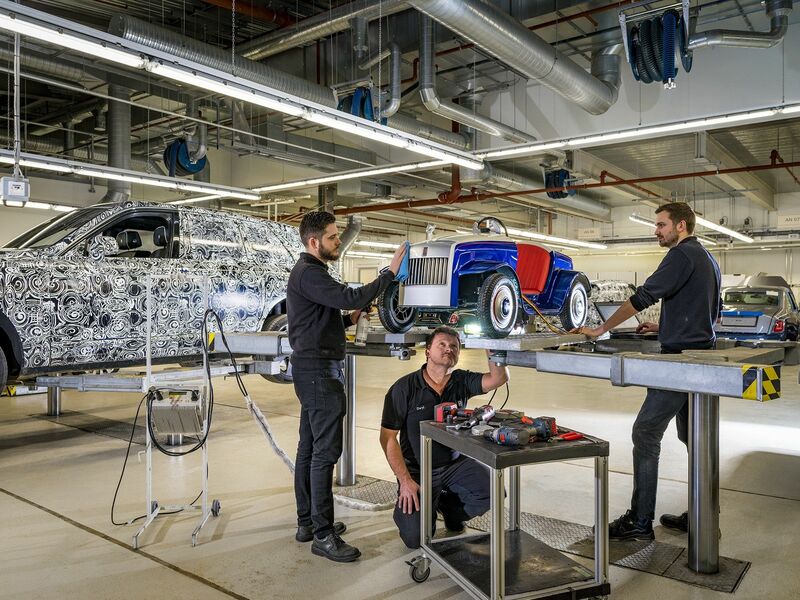 Besides showcasing the Cullinan, Rolls-Royce announced they recently completed a servicing on the pint-sized SRH roadster which was designed for the St Richard’s Hospital Pediatric Day Surgery Unit. 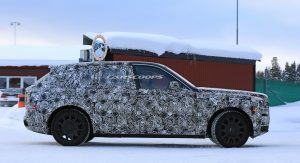 The company says the model has performed faultlessly and is used to transport an average of one child a day to the operating room. 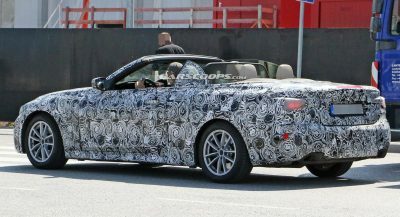 it doesn’t look tall as i thought it would be. 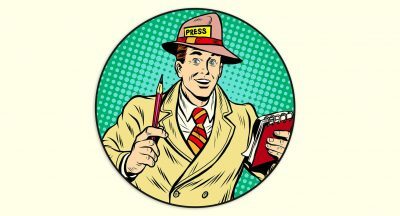 Please please please let it not look like how I think it will look under that cladding. 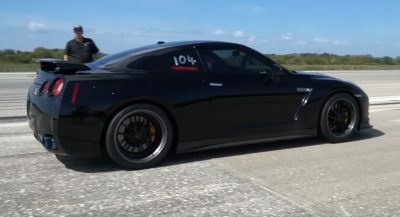 That’s actually a cool pedal car. 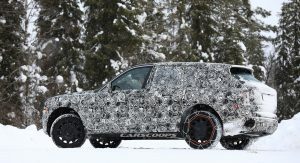 Kids that own it must have been center of attention. 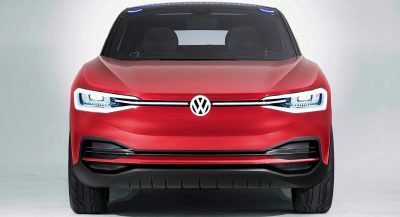 I’m more interested in that pedal car. 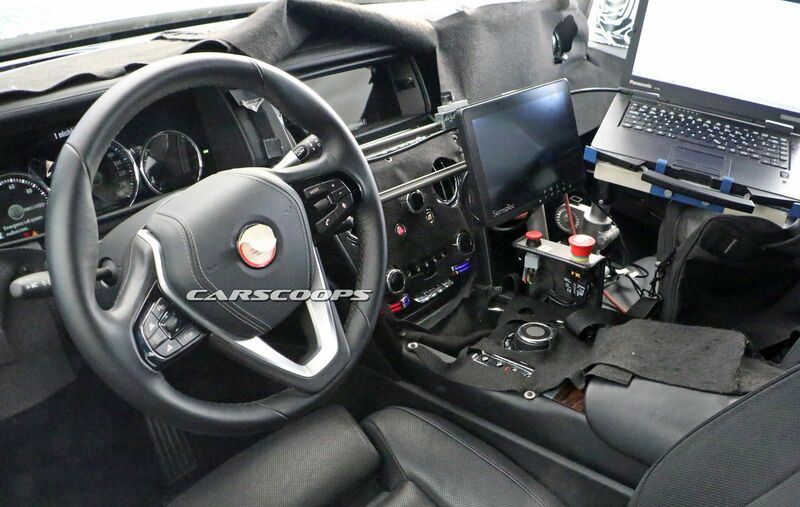 The interior looks like a hybrid between the Phantom (dashboard) and Ghost (centre console). 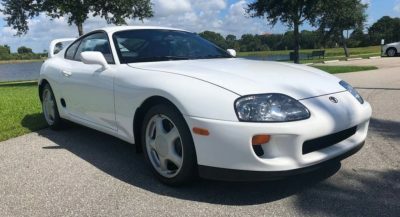 Edit: Just noticed that the same goes for the seats.